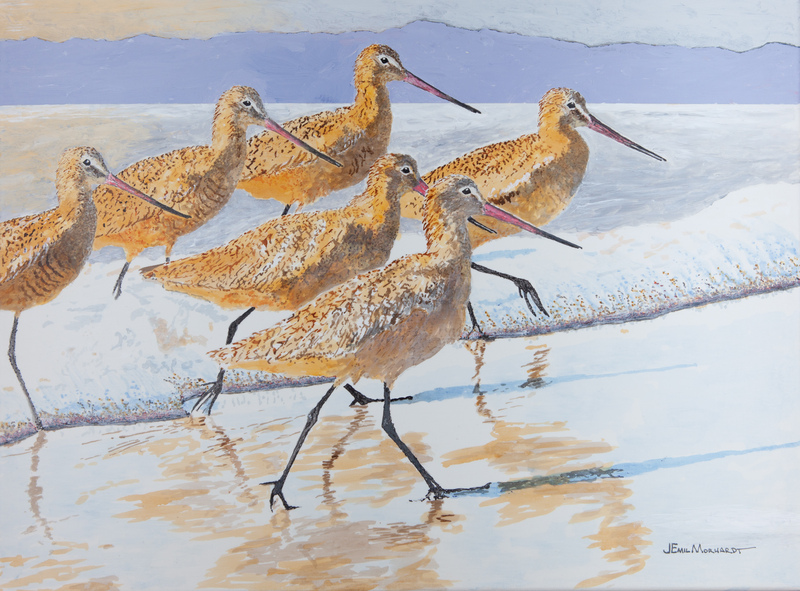 When I walk along Santa Barbara beaches in winter, Marbled Godwits are the most common bird, often seen in herds, as in this painting. 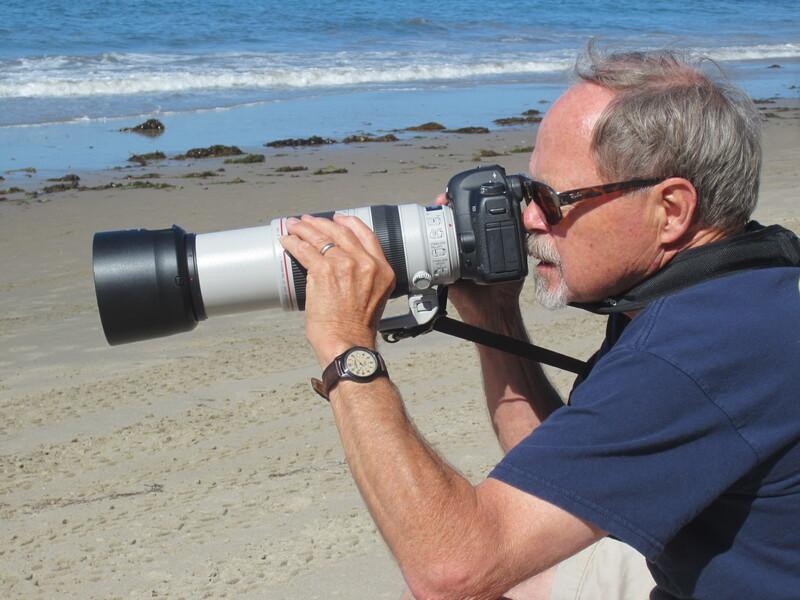 They stampede along racing the waves up the beach, then turn around and follow them back down probing for invertebrates in the sand. I used a mixture of transparent and opaque acrylics to try to capture the luminescence of the morning light with Santa Cruz Island in the background.